We are a non-profit, non-denominational, non-polictical organization that is committed to providing accurate information on all options regarding unplanned pregnancy, including education on abortion, adoption, and parenting. We do not provide or refer for abortion. Our center has been open since 1987, providing compassionate care and support to teens, women, couples and families in our community facing these unplanned pregnancies. All of our services are provided free of charge and in a safe and private atmosphere. Unlike other facilities, we do not benefit financially from any choice. We exist to give you the information you need to make an informed choice. Choice empowers us. Real choice means you are aware of your options. *New Life Family Outreach does not provide or refer for abortion procedures. 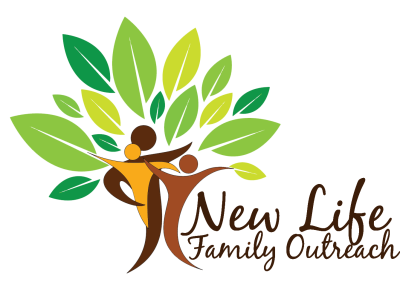 New Life Family Outreach's mission is to see the fruit of lives in our community changed by leading and empowering those we serve to a “New Life” in Christ as we protect the sanctity of human life, promote biblical sexual abstinence and healthy relationships, proclaim God’s plan for marriage and the family, and offer hope and healing to the broken hearted. Through compassionate care, education, mentoring, practical support, and community networking, we provide programs for women, couples, and families who are facing the challenge of an unplanned pregnancy as well as offer hope and healing support groups for those suffering from the heartbreak of a pregnancy loss, a past abortion, or abuse. Through the help of our community we envision a Christ-focused community resource center to fulfill the spiritual, physical, educational, and emotional needs of women, couples, and families in our community by providing support, mentoring, and training; equipping them with the necessary life skills to empower positive life choices. 3-5 year goal: to build a class-room addition onsite for providing women and men biblically based group studies such as Child-Birth, Parenting, Birth Mother Adoption Support, Birth of a Family, Women of Worth, Sexual Abstinence, Pregnancy Loss Support, Post Abortion Healing, Abuse Recovery, and others that suit the needs of our many clients.